Download Garmin Barklimiter 2 Manual From here. The Garmin Tri Tronics Barklimiter 2 is a new high tech bark control collar from the Garmin “Smart” series products. The Garmin “Smart” series product connects with compatible Smartphone by Bluetooth wirelessly. The Garmin Canine app (available in Apple App store/Google Play store) on the smartphone gives more features and control of the Barklimiter 2 collar which makes it the most advanced bark collar on the market. The Garmin Barklimiter 2 is a very small and lightweight collar suits dogs from 4.5kg in weight. It has exchangeable plastic contact probes which is more comfortable to sit on dog's neck than traditional metal probes. Package comes with a pair of long and short contact probes to fit long and short hair dogs. The Barklimiter 2 collar is fully waterproof and rechargeable with fast charge lithium battery. It could last up to 30 days per full charge (collar turns off when not in use and max 8 hours standby time per day). The Garmin Barklimiter 2 anti bark collar has 4 stimulation modes to stop dog barking. They are Tone only, Vibration only, Smart mode (smartphone operated features) and Static Correction mode. When operating the collar without a smartphone, Barklimiter 2 can be used as a traditional bark control collar. By pressing the power/mode button very shortly, the collar can be switched between Tone only, Vibration only and Static Correction mode (autorise correction). When the LED switches from Green to Blue, the Barklimiter 2 is in Smart mode. It can connect with the Garmin Canine app to access more options and settings. Smart Mode – connect Barklimiter 2 collar with compatible smartphone via Garmin Canine App (Apple IOS and Android available). It gives full control settings of the Barklimiter 2 collar. 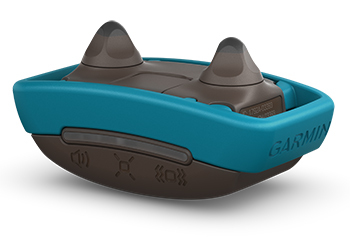 You can change the bark control operating mode (tone, vibration, static correction or combination of them), stimulation output and monitor barking activities via the Gamin Canine App. Please Note: the Barklimiter 2 is a bark control collar only, it CANNOT be used as remote training collar with Garmin Canine App. The Barklimiter 2 collar sets the intensity level automatically by itself which is based on the barking behaviour of the dog. The anti bark collar starts from the lowest level of static correction and increases by itself until the dog stops barking. It will reduce the intensity level when the dog does not bark. The automatic output mode is designed to eliminate excessive nuisance barking. The Barklimiter 2 can be manually adjusted withthe amount of barking allowed before giving the dog a correction. It can be set from 0 to 5 barks to help avoid unintentional corrections from everyday activity. “0” means no barking allowed which the collar will activate immediately when dog barks. “1” means the dog is allowed to bark once before receiving the correction. Click the button below to add the Garmin Barklimiter 2 Smart Bark Control Collar [GAB003] to your wish list.